A step-by-step course designed for those pursuing a career in fixed income research, investments, sales and trading or investment banking (debt capital markets). We’ll be blunt: bond analysis is usually taught horribly. Our course completely demystifies fixed income analysis to give people from the outside a clear window to the inside. If you’ve ever tried to learn about bonds – either through a textbook, a university class, or CFA training materials, you’ve most likely discovered that it quickly gets painful. We’ll be blunt: bond analysis is usually taught horribly. Beyond super-basic concepts of bond pricing and interest rate valuation, concepts like convexity, modified duration and forward curves are introduced with no connection to how they relate to real-world investment strategies. We made this course with one overall objective in mind: to make something truly different than what’s out there now. 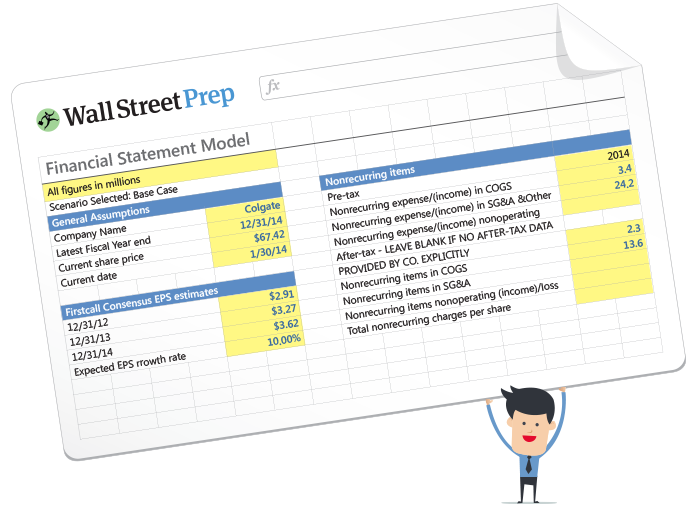 Something that completely demystifies fixed income analysis and gives people a clear window to the inside. We feel certain we've accomplished this. We take you step-by-step through the core concepts you need, and completely cut out concepts you’ll never use. 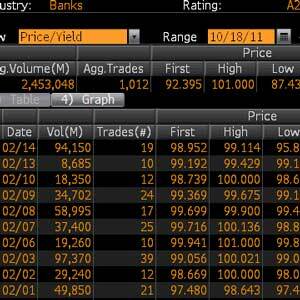 The result is an intuitive look at the use of bonds in fixed income research, sales and trading and investment banking. PLUS: We'll show you how market practitioners use Bloomberg on the job. 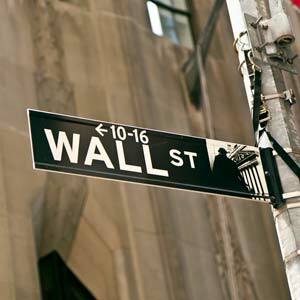 Wall Street Prep's Crash Course in Bonds is used at top financial institutions and business schools. There is a 3-hour examination at the end of the course. 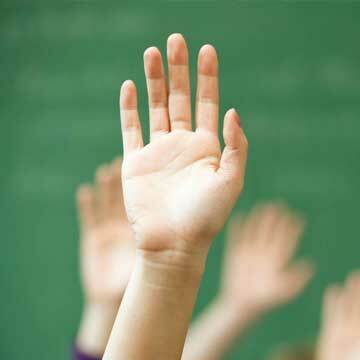 You are eligible to take the exam for 24 months from the date you registered for the course. 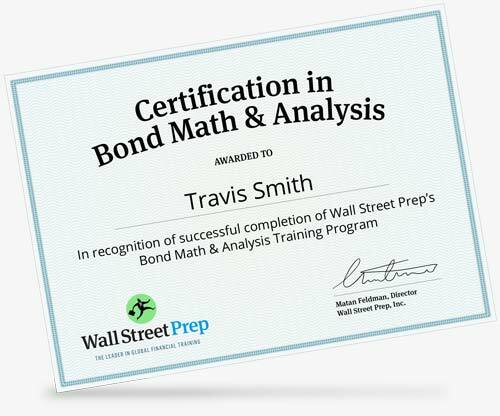 Those who complete the exam and score above 80% will receive a Certification in Bond Analysis. The exam is challenging and covers the most difficult concepts covered in the program. This is the same comprehensive course our corporate clients use to prepare their analysts and associates. 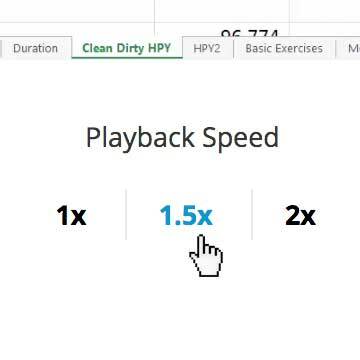 Save loads of time by bumping up playback speed to breeze through lessons at your own pace. Our instructors are former I-bankers who give lessons real-world context by connecting it to their experience on the desk. Have a question on course content? Communicate directly with instructors by asking questions throughout the course. I just switched back to capital markets after spending few years in corporate finance and wanted to refresh my fixed income knowledge. I found this course to be very useful, and I would certainly sign up for any more advanced fixed income courses you might offer! I enrolled in Crash Course in Bonds is to help with the fixed income section of the CFA Level III exam. This Bonds course has a good mixture of briefings/theory along with hands-on calcs/Excel. The pace is good and the materials and Excel models are really good ... I see myself signing up for the Premium Package once I get past the CFA Level III. I bought this course to get a comprehensive refresher on FIC topics. I’m three years into my career as a Legal Entity Analyst at a bulge bracket bank, and recently accepted a job within the US Rates Risk and P&L space. The course has been great. I’d recommend it to any user who wants to refresh on FIC topics. The course is helping me beat the learning curve as I transition into a new role at my firm. 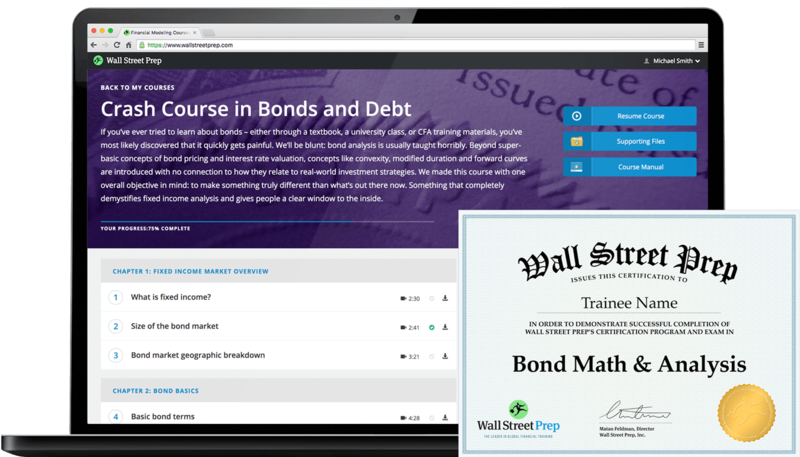 My main goal when I bought this course was to learn more about bonds as they are treated in the real world. I've been taught the basics through schooling but it's been highly theoretical. I just graduated from college and will be starting as a fixed income investment analyst at a large MM bank. I figured I should get ahead when I could so I could hit the ground running. I heard about the course through wallstreetoasis.com. They gave a pretty detailed background on all the various courses. Based on the overwhelming positive feedback about WSP, I decided to give the course a shot. The course has been very helpful. It breaks down the material well and keeps it concise so I remain engaged. I definitely feel more prepared to start work with a better understanding of the industry. It is very well structured, nice examples, inspiring presentation, both friendly and professional presentation. The Bonds course is a great foundation and has helped me gain more confidence in my knowledge as I move through the ranks of portfolio management. Bond courses are also impossible to find. Thank you for providing one! I enjoyed the videos provided and the supplementary material (course book and excel workbook). I think the course followed the right cadence, using each subject to build into another as you progressed. It was a great refresher and also helped to provide an understanding of how this material is applied. 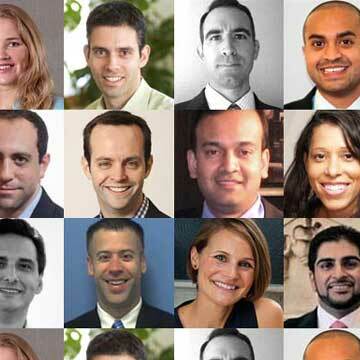 My motivation for choosing this course was to refresh my knowledge of the fixed income market. I have been investing for over 20 years but my focus has been mainly on equities and equity capital markets. I have studied fixed income/credit through the CFA program but never worked in this sector so my knowledge has remained largely theoretical. I liked the short, focused modules that allow me the follow material in my own order and review as/when I need to. The material is quite thorough and well put together. I liked the combination of the the practical "belts and braces" approach and the short, focused modules. I did some searching on the internet but did not find too much from other online training firms or universities that seems to compete with this offering. It looks to me to be relatively unique and I think it offers a helpful complement to the range of courses Wall Street Prep offers.